Pioneers. I pray we never lose that looking forward pioneering spirit. I hope our customers see and feel the wide-eyed gratitude that we have for them. 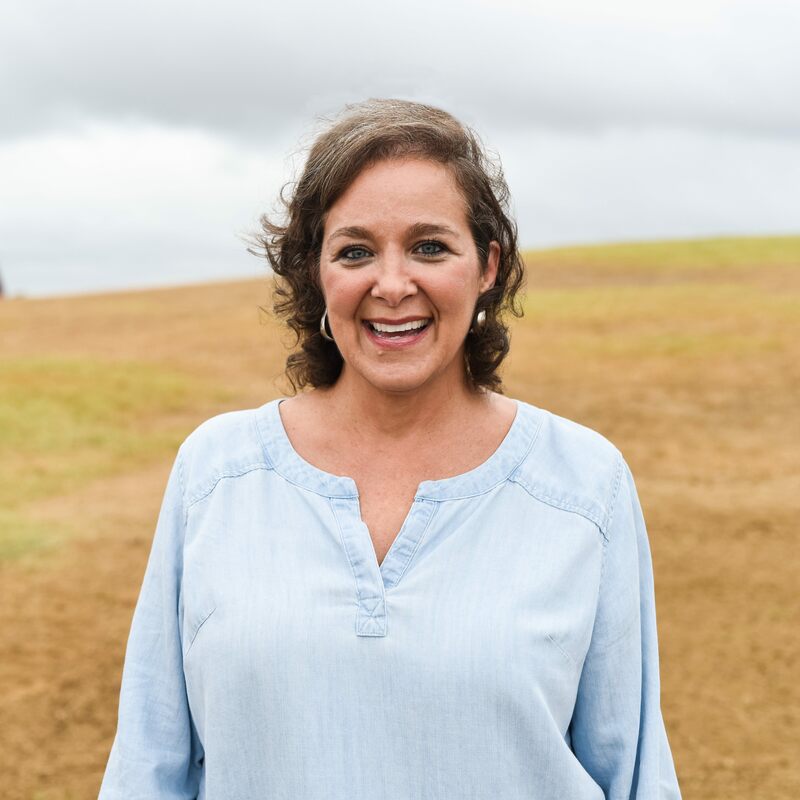 ince its inception in 1909, 44 Farms has been built on values such as faith, backbreaking work and a powerful sense of commitment to family and community put in place by founders Sherwood and Josie McClaren. These values have served as family watchwords for four generations of McClarens, including 44 Farms CEO Robert “Bob” McClaren. 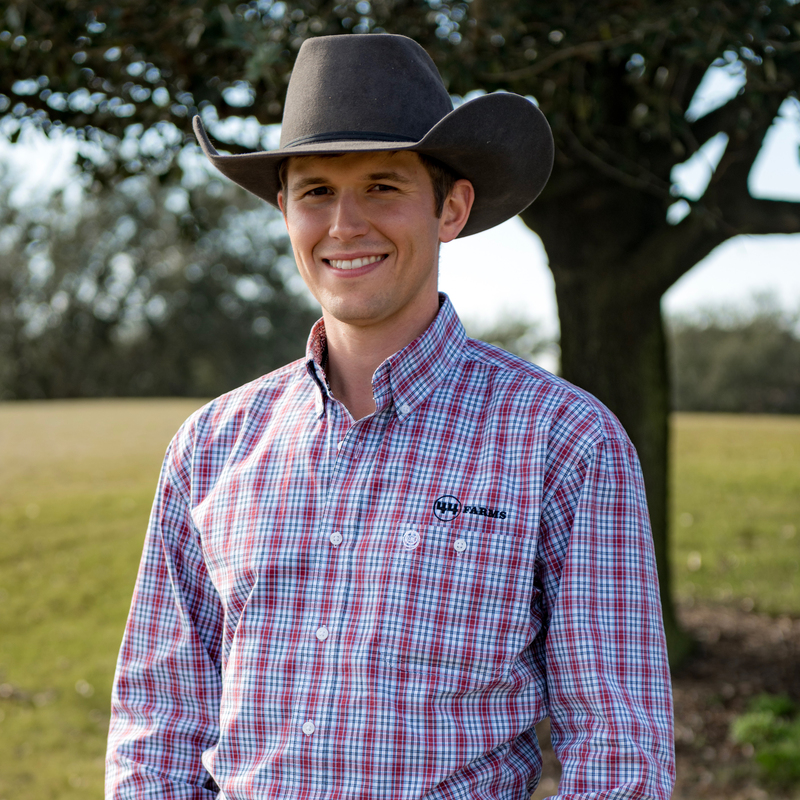 Born in College Station, TX and raised in the Dallas suburb of Grand Prairie, Bob had a connection to his family agrarian roots from childhood. Though his life consisted of the usual suburban activities of American youth – school, sports, chores and church – Bob also grew up reading the Angus Journal and drawing inspiration from his time spent over several summers at both sets of grandparents’ home in Cameron, TX. 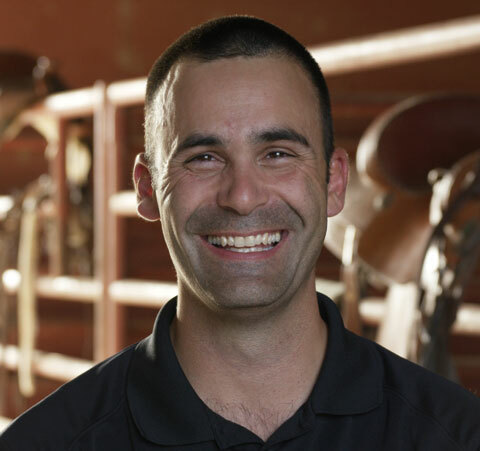 Displaying an interest and aptitude in business, Bob pursued a career in corporate law and professional sports management after studying accounting at the University of Texas at Arlington and receiving his law degree from Texas Tech University School of Law. After working several years with his legal mentor Toby Goodman, Bob became the General Counsel for McLane Company, Inc. in 1989. McLane Company, led by Texas entrepreneur and business legend Drayton McLane, provided Bob the opportunity to pursue one of his strong interests – the grocery business in an high energy environment and with a company led by a strong leader. 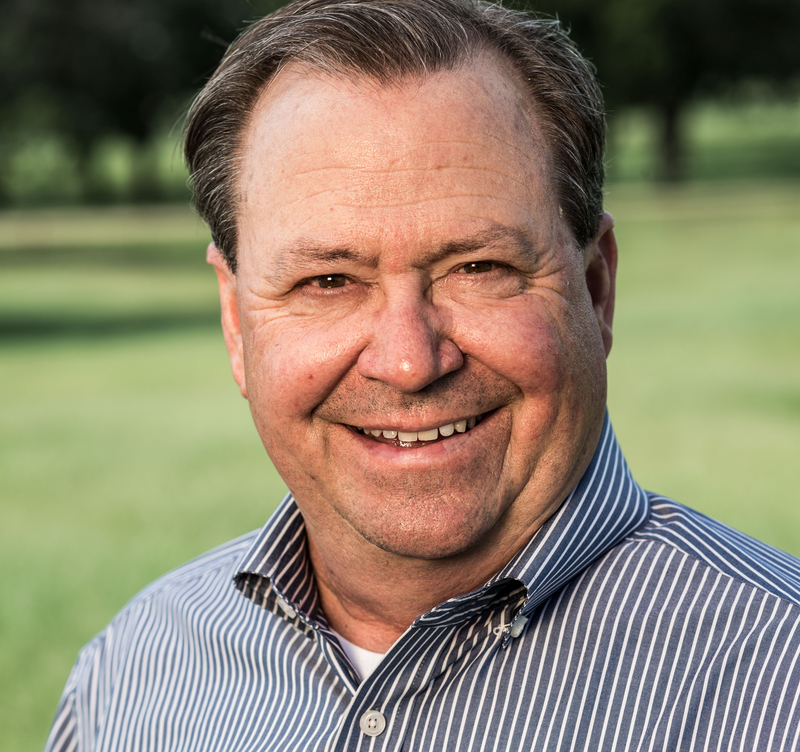 Shortly after arriving at McLane Company, Bob played a key role in the company’s merger with another famous entrepreneur, Sam Walton and Wal-Mart. Minute Maid Park continues to be credited with revitalizing Houston’s downtown. Today, more people live, work and shop in downtown Houston than ever before. And the Astros have a great home for decades to come. After experiencing record attendance and continued success on the field, Bob’s role turned more consultative in 2002. He left the day-to-day activities with the club to become a key leader in the formation of a television joint venture between the Astros and the Houston Rockets, which was later sold to Comcast. His consultative work continued all the way through Drayton McLane’s 18-year ownership until the sale of the franchise in 2010 for $680 million – the second highest selling price for a MLB club in history. It was during these years consulting with the Astros and representing NBA players, professional baseball players and coaches that Bob’s focus began to turn back to his ancestral roots and the Little River farmlands in Cameron. Over the years 44 Farms had been passed down amongst McClaren family members and portions sold to third parties. 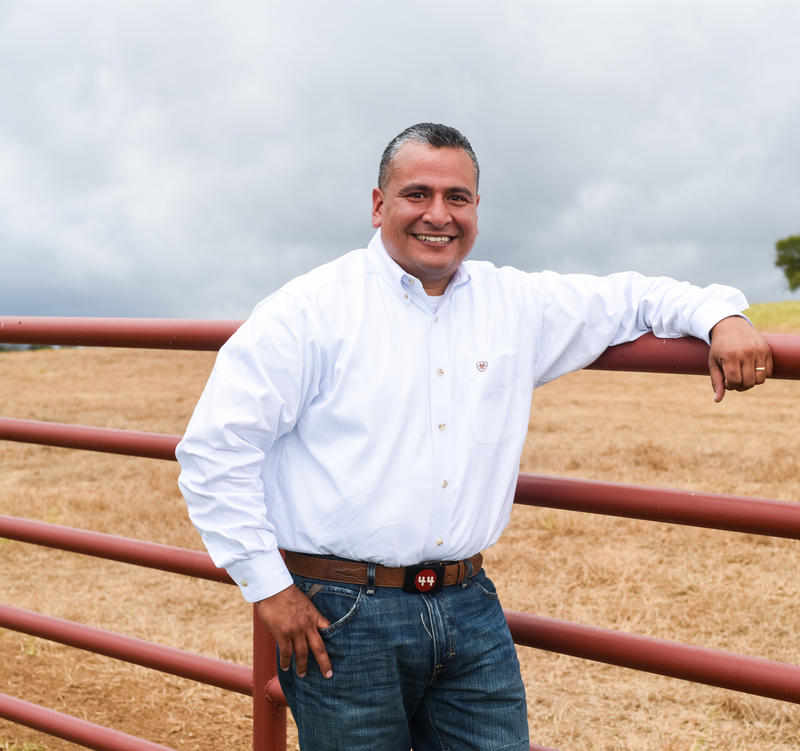 Bob and his sister, Janet Salazar, began to buying back the divided lands with the intention of restoring the heritage of the “44” brand and creating a premier Black Angus ranch. The current Angus operation started with 60 registered Angus cows delivered on a cold rainy night in November 2003. 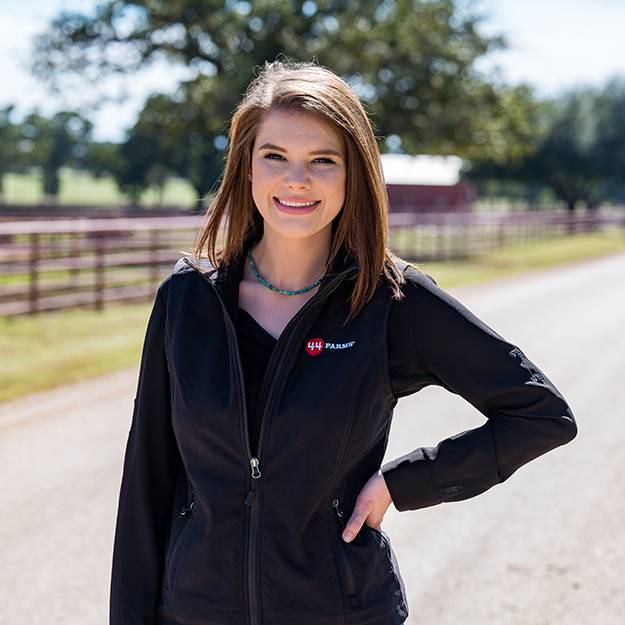 Today, 44 Farms is the largest registered Angus operation in Texas and the fourth largest in the U.S. 44 Farms Angus genetics are sold into nearly every state and to many ranches around the world. 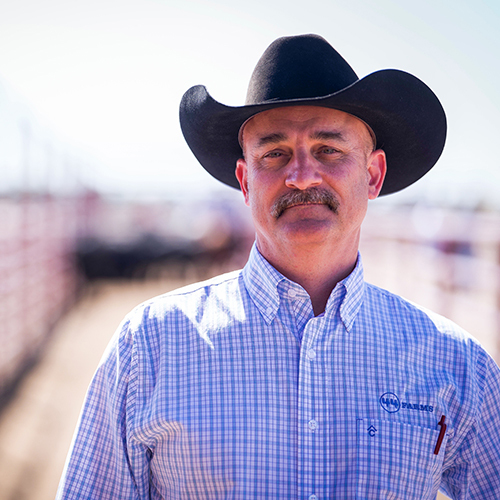 Conceived as a premier Angus genetics provider, the story of 44 Farms is far from complete. In 2012, 44 Farms launched 44steaks.com, an online source for 44 Farms USDA Prime and Choice steaks. 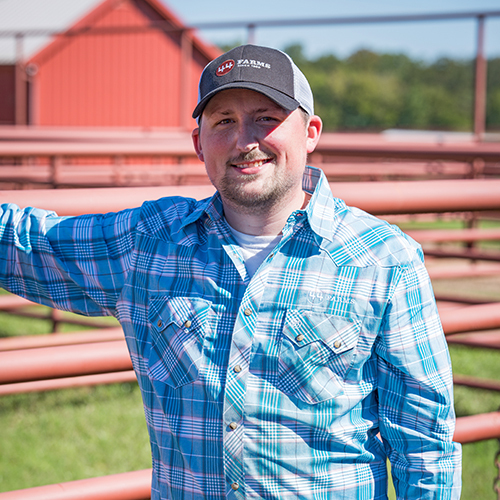 With no hormones and no antibiotics given these cattle the all-natural 44 Farms steaks business was off and running. 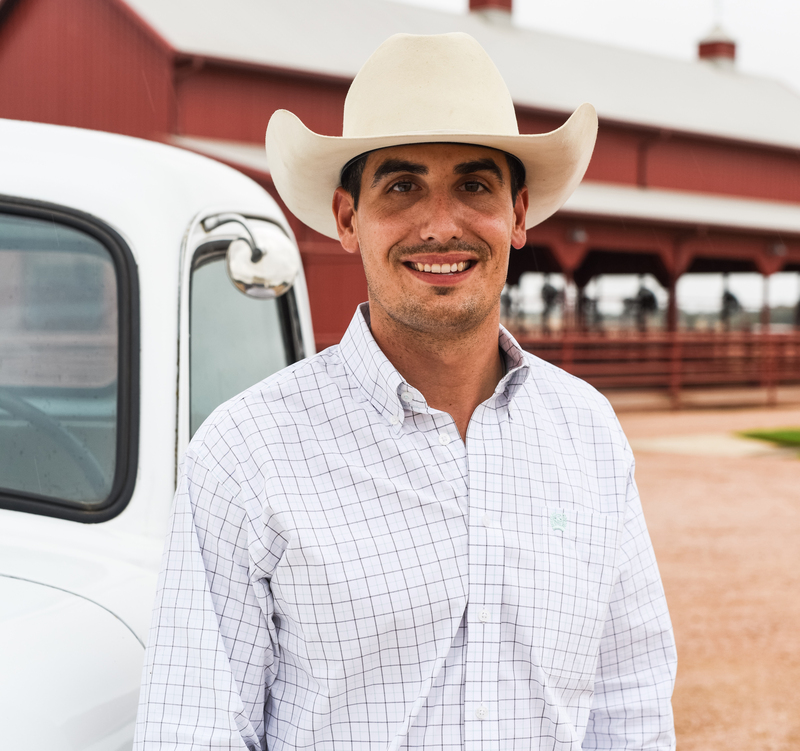 The successful online launch got the word out to chefs, restaurant owners and foodservice providers throughout Texas that top grade, great tasting all-natural Angus steaks were now available from a trustworthy, reliable and sustainable source. Today, 44 Farms Angus Steaks are served in more than 100 restaurants in Texas. 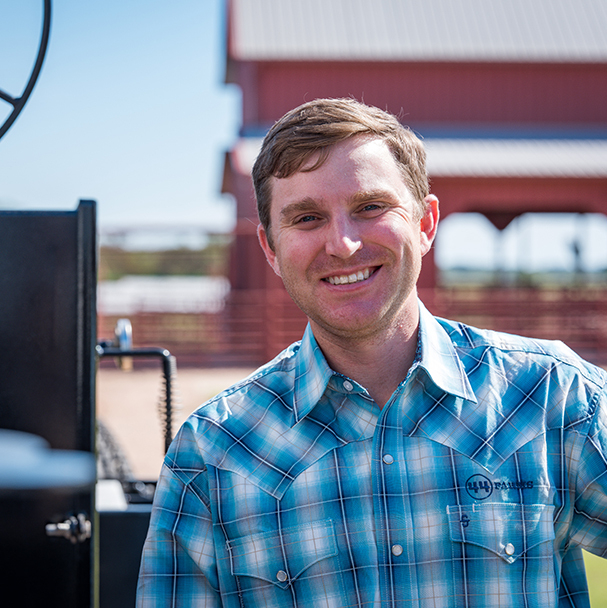 “The success of the all-natural 44 Farms Angus Steaks program has been so amazing. We are truly blessed by the willingness of so many people to try our products. Once people give it try, the appearance, texture, tenderness and bold flavor provides an extraordinary eating experience – every time,” explains Bob. “Its just different. And, it is so rewarding to hear the stories customers share about how they enjoyed our steaks with family and friends. To know that 44 Farms is playing an important role in these memorable experiences is exciting,” added Bob. “We want people to know where their food comes from. We call it the 44 Farms “KnowYour Rancher” program. We invite people to come to the ranch to see how the cattle are cared for. 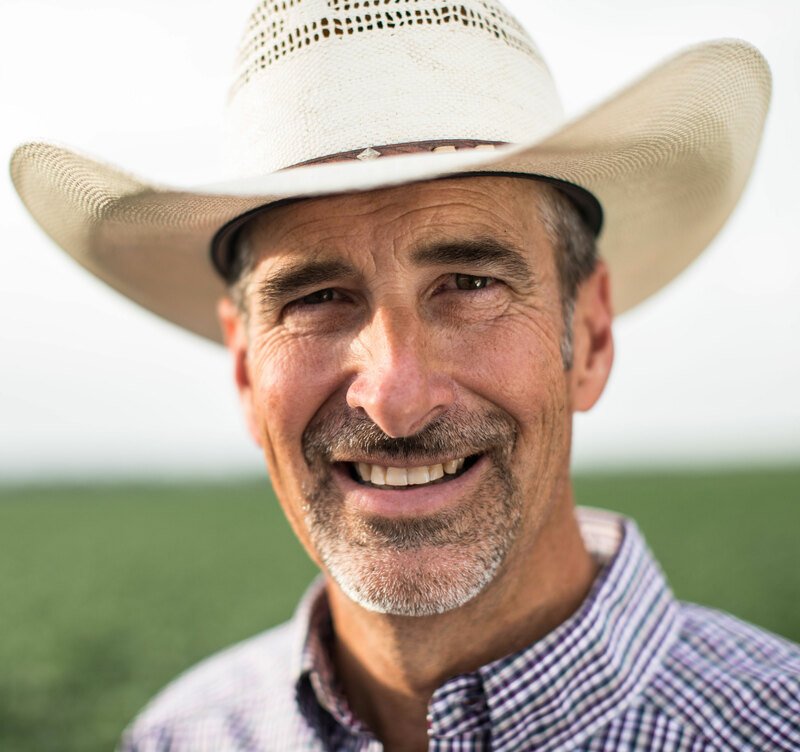 The more people know about us, the more confident they will be in the quality and wholesomeness of our beef and they will see firsthand our commitment to being responsible stewards of the land and cattle that God created,” said Bob. The Know Your Rancher program at 44 Farms is one of integration -- “from conception to the table.” Being able to control the genetics of the cattle, their nutrition, their healthcare, the water they drink, and every step of the process to the table 44 Farms is able to insure that quality and compassion is at the core of everything that is done. 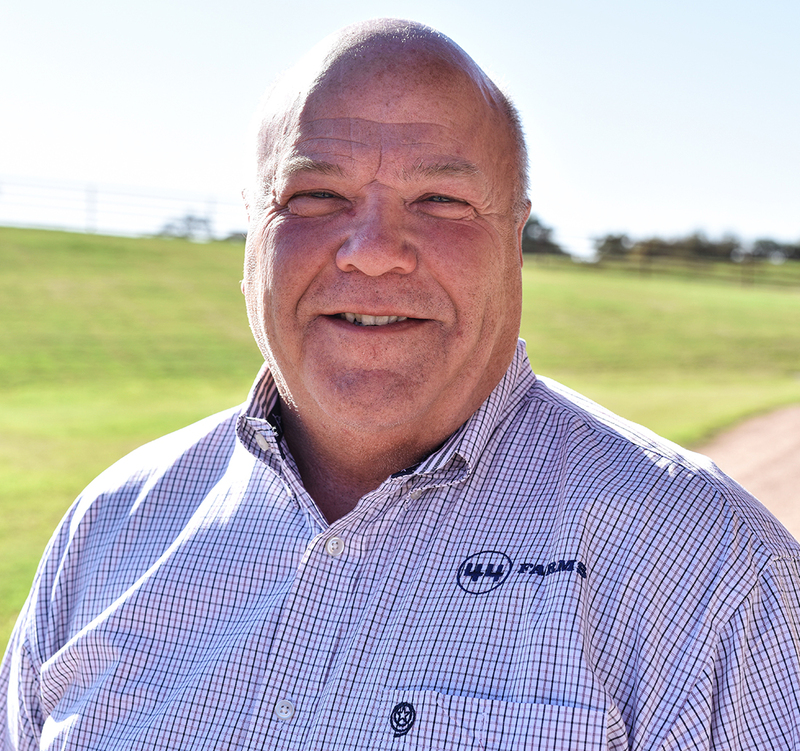 Bob’s journey in building a high quality Angus genetics and branded beef program was born out of his passions for food production, the grocery business and customer service. You could say that these are passions are all-natural in their origin. 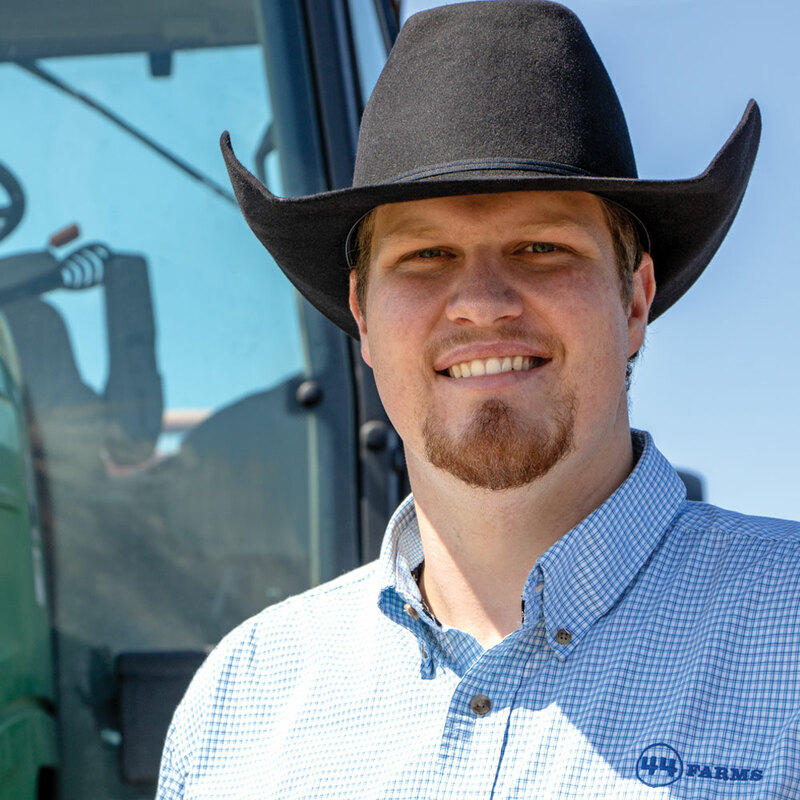 The McClaren family provided the genetic interest in farming and ranching while the interest in the grocery business no doubt arose from his mother’s family, the McLanes. When you add to that genetic background to the experience of working with Drayton McLane then customer service comes naturally. 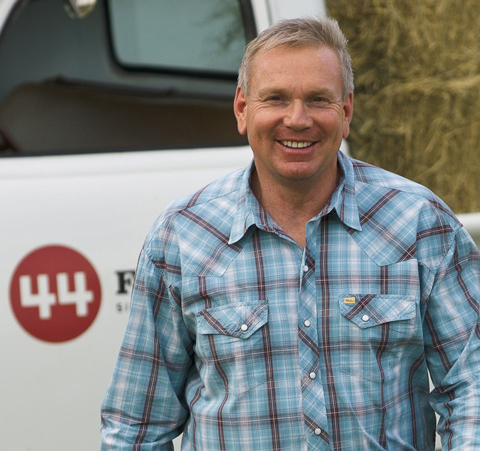 Bob is fond of saying, “the best is yet to be.” There is no doubt the future is bright for 44 Farms. Likewise, the same can be said for his other pursuits in supporting various Christian youth organizations, the economic development of Cameron, Texas A&M…to mention a few. professional life dedicated to the advancement and promotion of the Angus breed. 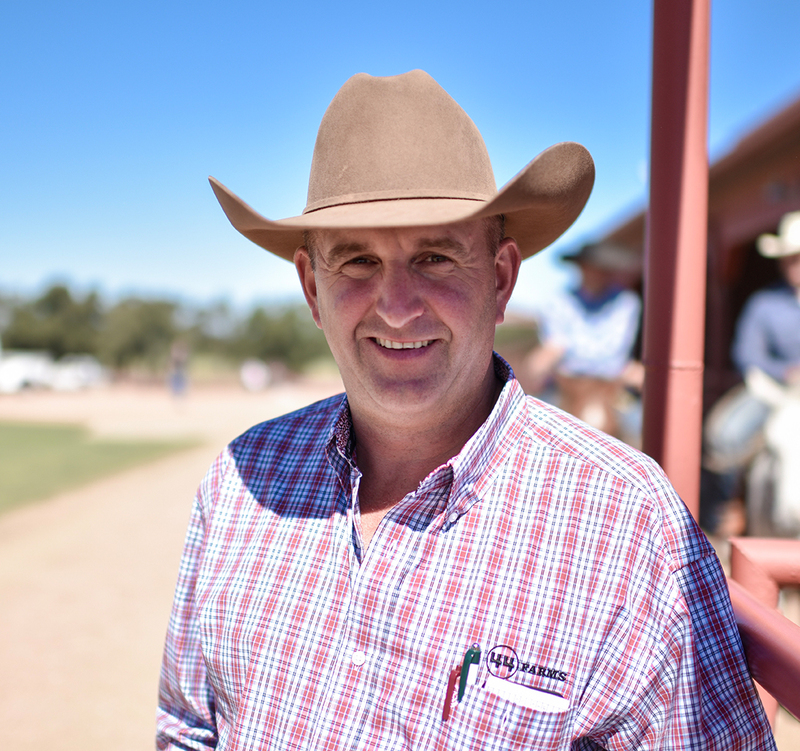 From showing cattle as a youth; to becoming a top herdsman; to running a large Angus operation; to operating his own sale cattle management & real estate business, to his present position at 44 Farms… Doug’s life has inspired and helped many along the way. Doug and his wife, Gracie, have two children, Drew and Will. 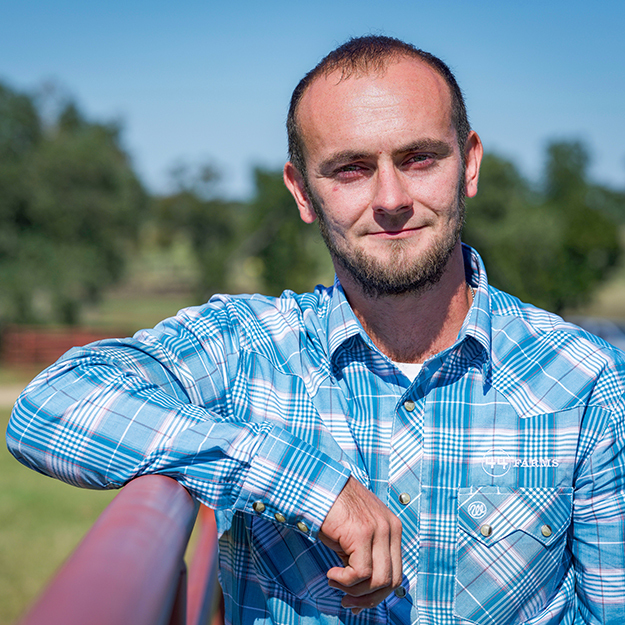 Upon graduation from college in 2011, Drew joined the Peace Corps and was immediately dispatched to the rural Kolomo District of Zambia as a Rural Agriculture Promotion Volunteer. Just recently, he moved to Lusaka, the capital of Zambia, to accept a position as a Communications and Reporting Specialist with a US Agency for International Development (USAID) contractor handling all communication for US government funded malaria and general health programs for Zambia. Will is a recent graduate of the University of Dallas and began graduate studies this fall at the University of Arizona. We are committed to doing it the right way—every time. That we care about their operations and bottom line and we focus on delivering cattle and services that enhance their future. racy Woods is a cow man. A cowboy devoted to his calling and craft. 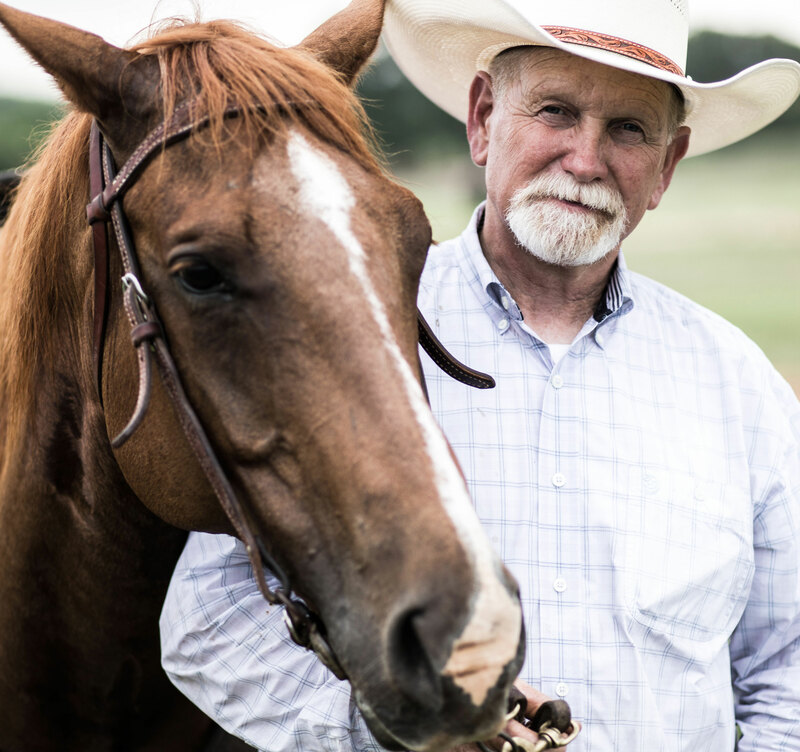 Fueled by an admiration of cattlemen who have gone before him and a passion for the land and livestock, Tracy lives his life with a unique sense of adventure and wonder of God’s creation on display. He lives and works in tandem with nature in an honorable partnership. He seems undaunted by the heavy morning air in Central Texas, the blistering afternoon sun or even the blinding dust. The only thing he enjoys more than spending the day on horseback and caring for cattle is teaching his young boys the same. 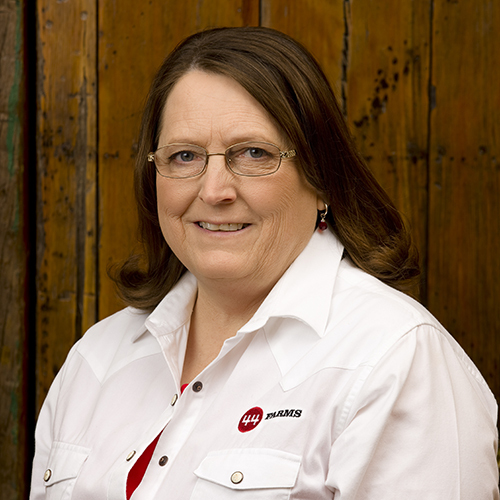 In 2012, Tracy joined 44 Farms after eight years at Limestone, LLC. He earned a Bachelor of Science degree in Animal Science & Pre-Veterinary Medicine from Oklahoma State University in 2000. 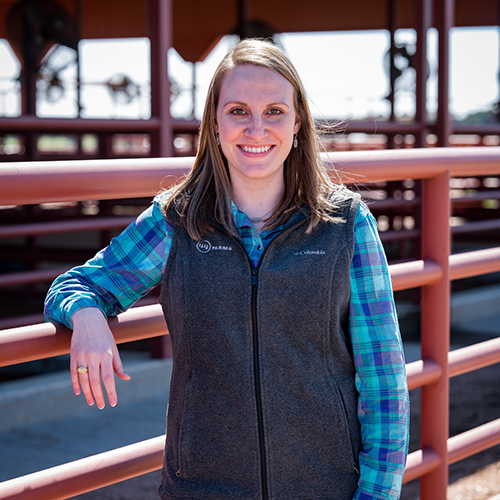 44 Farms is extremely blessed to have Tracy’s expertise in reproductive sciences, animal health care and nutritional management. But, it is his consistent ability to bring calmness to a storm, to see the light at the end and visualize a brighter future that is so unusual. All in a day’s work. Tracy and his wife, Toni, have three sons, Wyatt, Warren and Wayde. We have the best Angus cattle and customer service in the industry! Right from his beginnings on a farm in rural southern Louisiana, the path of Luke’s life alighted on touchstone after touchstone of Americana. He was a gifted athlete. He put his great communication skills to work as he persuaded his sweetheart, Becky, to be his wife. He took his university education right back where it belonged, his beloved LSU. The Doctor of Agronomy was entrusted with all of the athletic playing fields at LSU, including that stretch of hallowed landscape known as Death Valley. From LSU, he became the steward of the turf that carries the load for the multi-million dollar NFL players of the New Orleans Saints. If the turf isn’t perfect, “NFL” can mean “Not For Long” for players. Accountable to famous coaches like Jim Mora and Mike Ditka, he quickly developed a reputation for athletic turf innovation and management. As the Houston Astros opened their new downtown ballpark in 2000, Luke took his magic to the Big Leagues. Major League Baseball was new to Luke, but true to Coach Wooden’s instruction, Luke designed, developed and installed the first turf grass in a retractable roof ballpark. If that sounds easy, just try growing turf grass in the shade. Luke did it when many said it couldn’t be done. Applying another Wooden truth, “It’s what you learn after you know it all that counts,” Luke made the playing surface at Houston’s ballpark the finest in the Major Leagues. 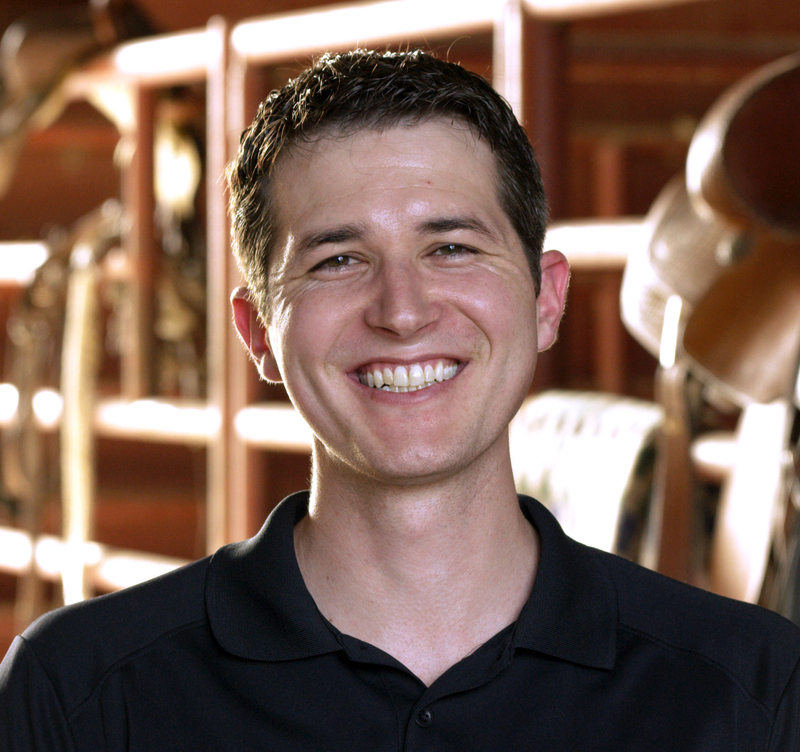 Returning to his agricultural roots, Luke joined 44 Farms in 2007. Luke’s many talents include a keen ability to teach. 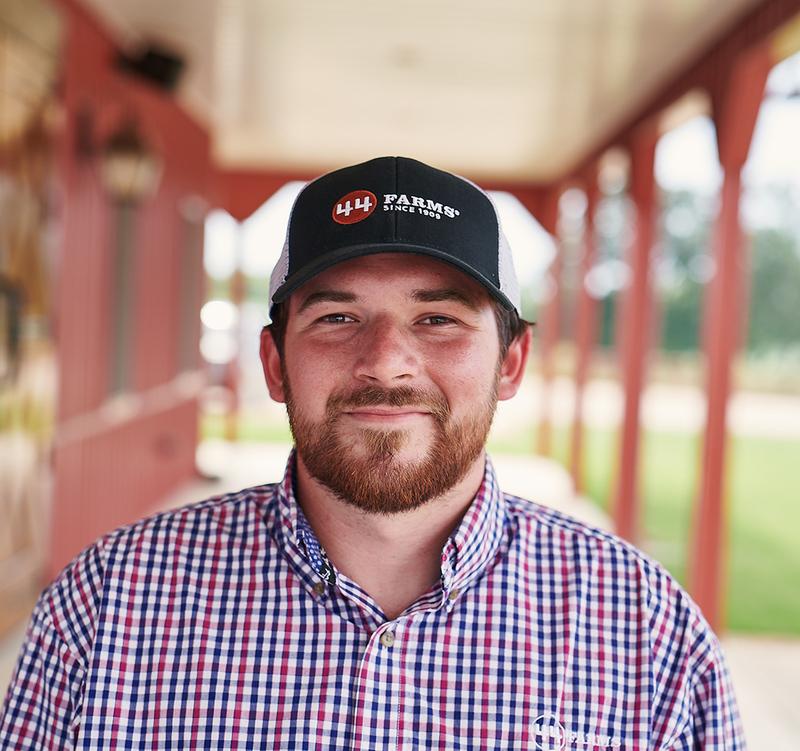 One could say that Luke sees the classroom and agricultural production as serving the same purpose: explanation, demonstration, correction and repetition. He has a knack for knowing when and what to change, and when to leave things be. 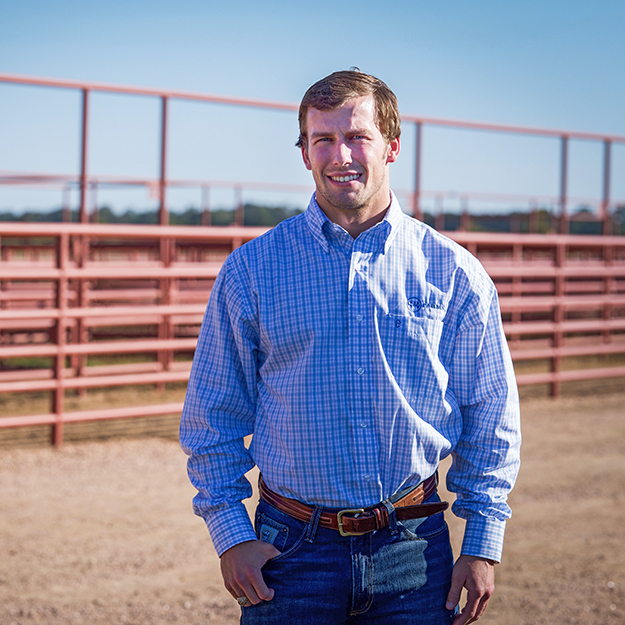 Luke is making a tremendous difference in the quality of the nutrition that the Angus cattle of 44 Farms receive. The cattle continue to be more efficient and their performance is at the top of the class. Thank you Luke! That every person on Team 44 is fully committed to make any experience with 44 the best the customer could ask for. 44 Farms is committed to their customers 100%. n 1989, Gus McCrae, one of the most engaging and brave characters of the Old West, walked off the television and into our lives. Gus McCrae and Woodrow Call, two former Texas Rangers in Larry McMurtry’s miniseries Lonesome Dove, organized one last adventure, a 2,500 mile cattle drive from Texas to Montana. They battled the environment, thieves, Indians and many other dangers, yet they accomplished their goal and their friendship remained strong. Many people wonder where men like Gus and Woodrow are today. Well, one is James Burks, the General Manager of 44 Farms. James is constantly asked if he is Robert Duvall because he looks so much like Gus McCrae. The resemblance to Gus is amazing, the toughness of each man is a perfect match and they each faced many of the same dangers and trials. “No one could remind us more of Gus than James Burks. He is Gus living among us,” claims Bob McClaren of 44 Farms. “James has the highest standards of character, hard work and the Christian life. Plus, like Gus, James tells a great story,” Bob added. James’ responsibilities are vast at 44 Farms. He oversees the entire operation in Cameron and his passion for customer service is unparalleled. Spending the day with a customer to help them find the right cattle for their program is typical for James. “Serving the customer is the essence of our business and I love it,” said James. Loyalty was a characteristic that helped define Gus. Likewise, the same can be said about James. He is loyal and faithful to His Savior and Lord, his family, friends and 44 Farms. 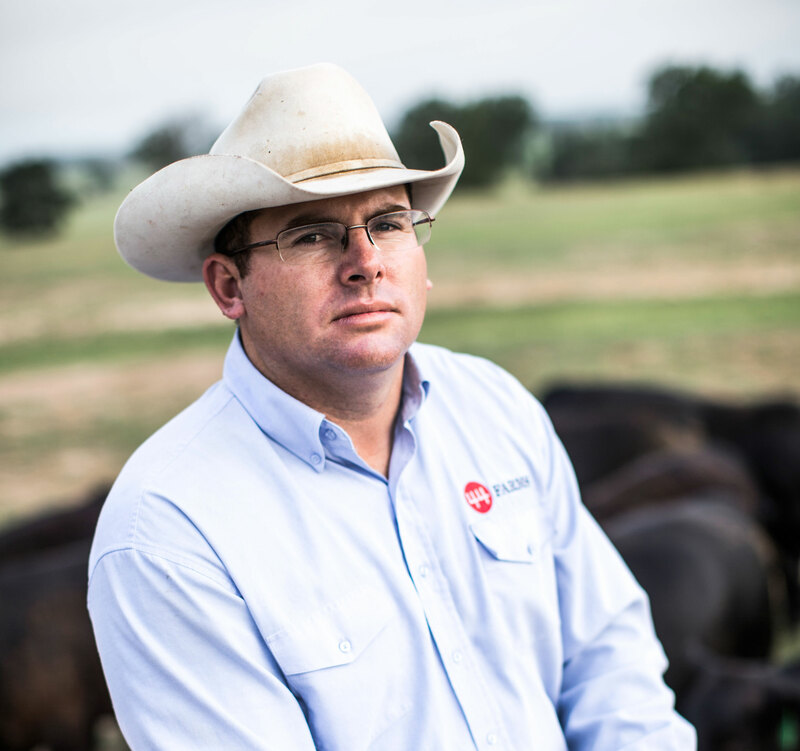 We are committed to our customers, our cattle, and our family. Family values are at the center of everything we do. The 44 Farms family (from Cameron to Houston) is dedicated to providing a 1st class product, 1st class customer service, and building and maintaining enduring relationships with our 1st class customers. A love story with history, drama, song and dance – I just can’t resist The Sound of Music! We are blessed by the strong relationships that we have built. Without them, we won't go anywhere. Rudy: don't let anybody keep you from your dream. We are constantly striving to provide the best product for our customers. Everyone treats you with respect. The customer always comes first. It doesn’t matter what day or time you want to come and look at bulls, someone will be here to help you pick one out that fits your program and get you loaded. We are faithful stewards of the land and cattle. 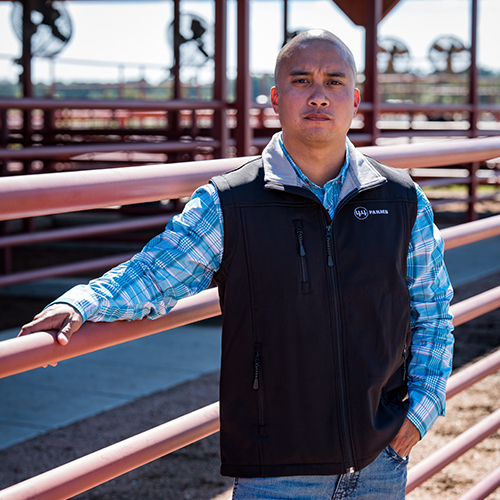 We continue to grow so that we can provide the best for our customers and for the future of the beef and cattle industries. 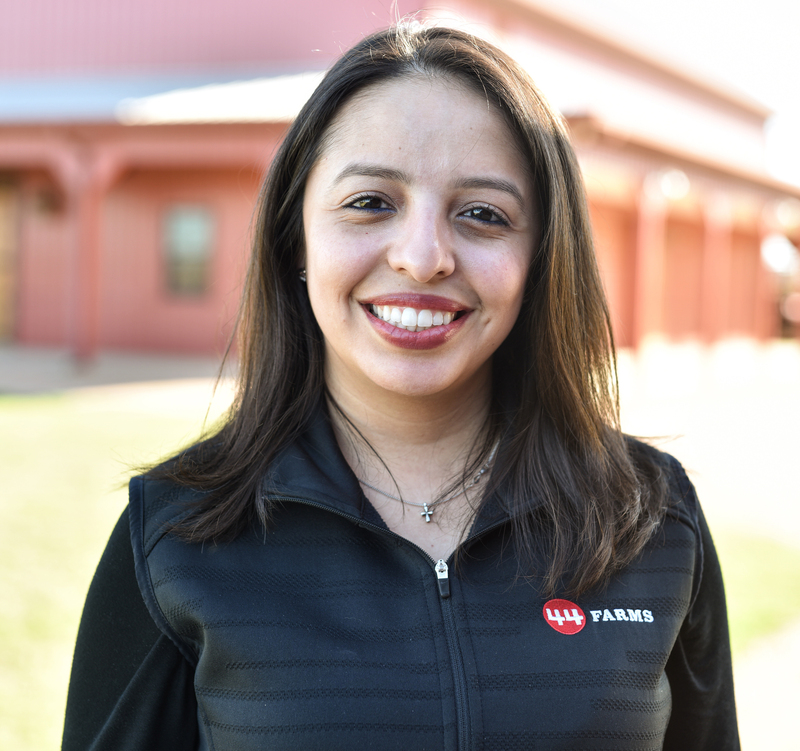 When you come to 44 Farms, you are always greeted with a friendly smile and helping hand. 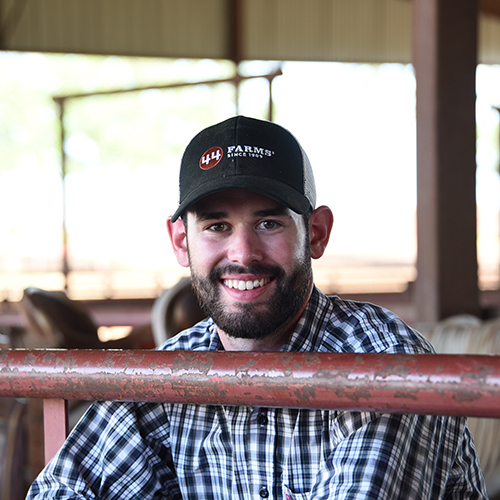 We take pride in being your rancher and doing what it takes to provide high-quality Angus beef to our valued customers. We believe there is no substitute for hard work and honesty. Quality, consistency and attention to detail is what customers can expect from 44 Farms. Teamwork. From the group at the Farm to the Sales Team in the market, teamwork is the underlying driving force behind our success. I truly believe that the culture that is fostered is based on teamwork, respect, and faith. There are no smoke and mirrors. What you hear and see are the reality of partnering up with 44 Farms. 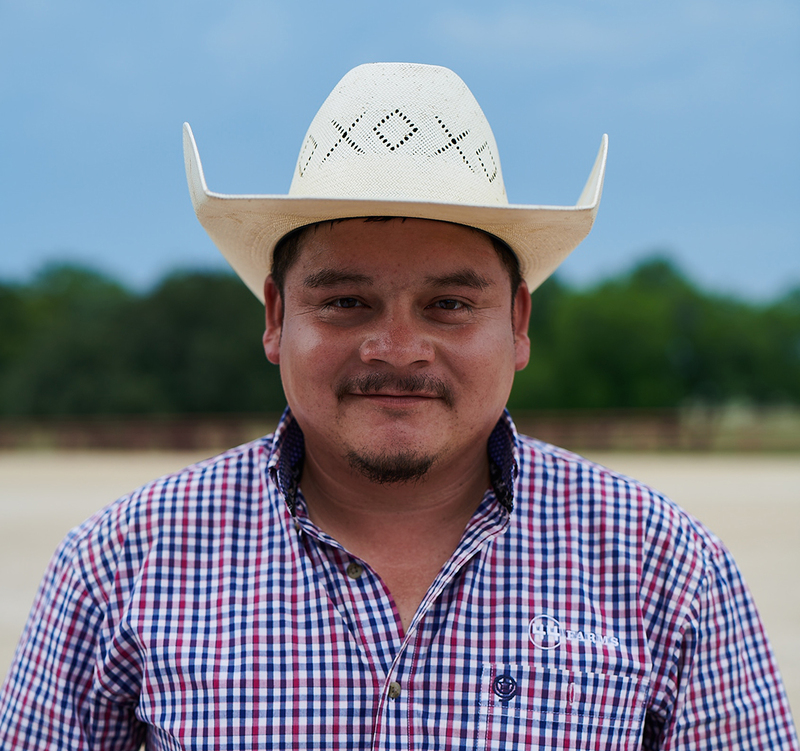 We truly have an “Open Farm” policy, and I love meeting customers who have been to the ranch and are able to speak to the authenticity of our company. Top Gun… I loved that movie so much as a child that I cut the cord off my Nintendo Joystick, taped it to a shoe box, and pretended I was flying with them! To date, I have the VHS, DVD, Blu-Ray, digital copy and the soundtrack on both cassette and CD! 44 Farms cares about their customers and community. They strive to be good stewards of the land while producing the highest quality cattle. We are passionate about our industry, and we strive for excellence in all that we do.